Did you grow up with Sesame Street? I just missed it (Captain Kangaroo and Romper Room were my childhood shows), but I do recall watching it with children while babysitting as a teenager. I think Sesame Street is a great way to make learning fun for young children, and always have vintage Sesame Street books in my store, Birdhouse Books. The show was created by PBS documentary producer Joan Ganz Cooney. She modeled the show's format after Rowan and Martin's Laugh-In, with short, funny segments and a mix of animation and live characters. Puppeteer Jim Hensen was hired to create the famous Sesame Street puppets that are now beloved. These famous characters include Big Bird, Cookie Monster, Oscar the Grouch, Grover, Elmo, and Bert and Ernie. The original show address was 123 Avenue B. This was changed because it was a real address in New York City. 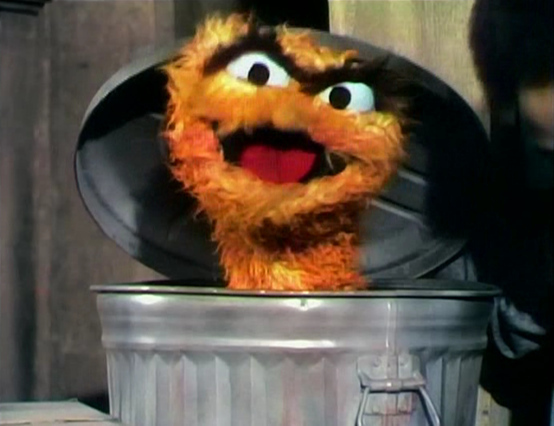 Sesame Street was named after the Arabian Nights phrase "Open, Sesame!" "Sing A Song" (later recorded by The Carpenters) was intended as the show's theme song. 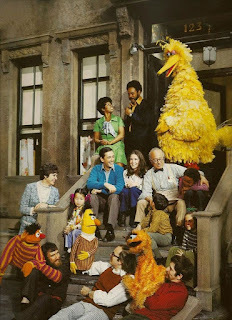 James Earl Jones was the first celebrity to visit Sesame Street. Big Bird is not a canary; he is actually a yellow condor. Big Bird's height? A whopping 8'2". Ernie had a hit song with "Rubber Ducky" (1970); it charted at #16 on the Billboard chart. The Count's love of numbers was inspired by vampire lore. Vampires are said to have arithmomania -- a strong need to count objects. 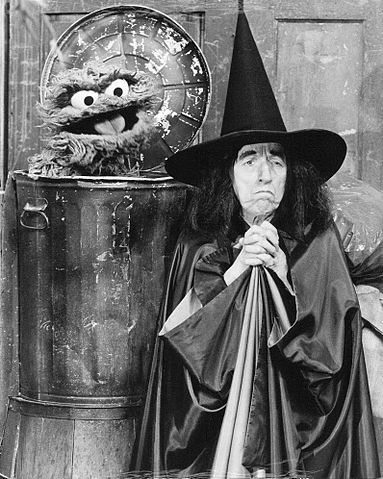 The Wicked Witch of the West made a visit to Sesame Street and Oscar the Grouch fell in love with her. The episode was deemed too scary for children, and it was banned. Four first ladies have visited Sesame Street: Barbara Bush, Hillary Clinton, Laura Bush, and Michelle Obama. Who is your favorite Sesame Street character? Do you have any memories of the show to share? I'd love to hear from you in the comments, below. AW, this totally took me down Memory Lane ! I can recall sitting and watching Elmo's World with my friends at daycare. I love it and kind of miss my innocence. Thanks for the visits, and for sharing your Sesame Street memories! I enjoyed reading them.